The Stained Glass Billiard Collection Takes Its Cues From The Game, Sporting Colorful, Detailed Illustrations And Classic Victorian Themes. Use Over A Pool Table Or Kitchen Island For Optimal Illumination. 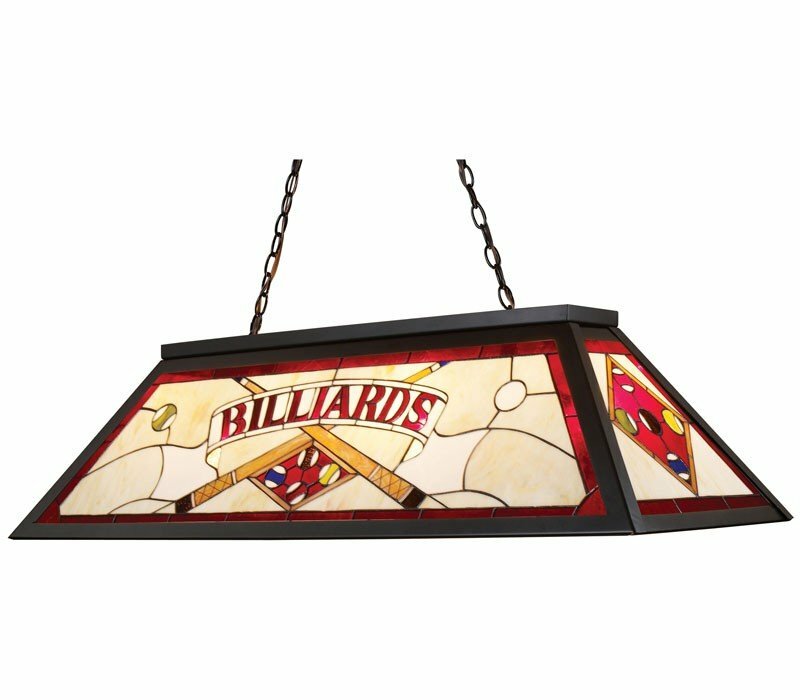 The ELK 70053-4 Tiffany Lighting-Billiard-Island collection Pendant Lighting in Tiffany Bronze uses Incandescent light output and brings Antique style. The total wattage is 400 and the voltage is 120 volts. The ELK Lighting 70053-4 requires 4 bulbs (not included). Additional Information: Shade-Billiard Tiffany Glass.